Correct hand tool safety is vital for anyone who works with hand tools. There are so many things that can harm you when working with theses tools. You may think, they are small tools, how much damage can they really do? They can kill you. Especially electrical power tools. A hand saw or hammer may not do too much damage if the accident only involves you, but if that hammer comes crashing down on your head from three floors up, it will kill you. That is why you should always wear a hardhat whenever there might be a chance of falling objects. When working in high places, keep your work area clean and keep an eye on your tools. You don’t want to be the one dropping that hammer on a fellow worker’s head. 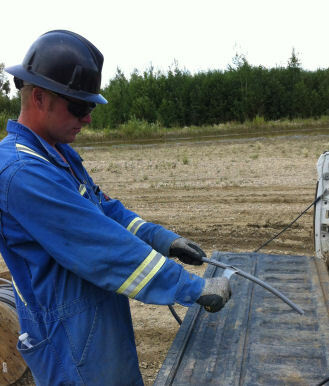 The best safety practice is to always put your tools back into your belt when not in use. It only takes a second, and it may very well save someone’s life. Power tools are the most dangerous hand tools. When you are using extension cords, you could get your feet tangled up or slip and fall. That is why cordless tools are better. If you do work with extension cords, always ensure they are properly secured. Tape them to the floor or wall to get them out of your way. Inspect your power tools before each use. Any signs of wear, frayed or exposed wire should be dealt with immediately. Do not use the tool. Do not put off fixing the cord until the job is done. Fix it right away. An exposed wire could lead to electrocution. Maintenance is part of hand tool safety. Never leave the power on. When you are finished with the tool, turn off the power before pulling the plug. The next time you go to use it you may forget that you left the switch in the on position. This can cause a very serious accident. Or, maybe someone else picks up the tool without realizing the switch is in the on position. You will be responsible for the injuries caused to that person. Tools come with hand tool safety guidelines. Ignoring these precautions can lead to serious injuries. The manufacturer doesn’t write up these guidelines so you will have something to read in your spare time. The guidelines and safe operating procedures are designed to teach you how to use the tool properly so that you won’t get hurt. 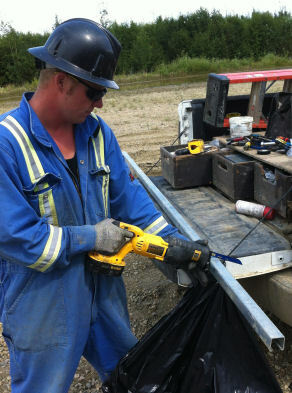 Many experienced workers feel that safety guards and shields installed on power tools slow them down. These foolish individuals remove the guards and shields so that the job will go faster. Never remove safety shields or guards. The shields are there for your protection. Removing them puts you at a higher risk of injury. 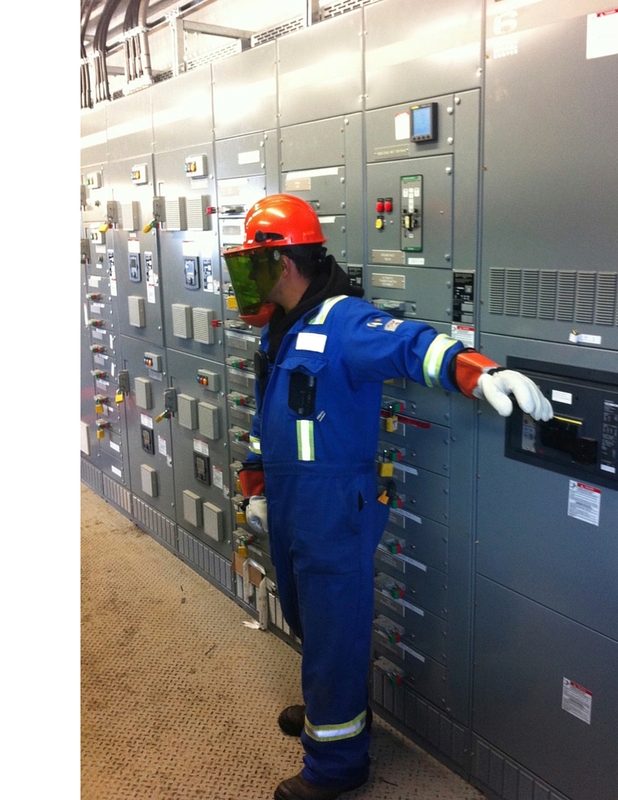 As an electrician you are usually required to work as quickly as possible. But, no matter how fast you have to complete the job, you should never put your health and safety at risk. You won’t get the job done any faster if you have to be rushed off to the hospital half way through. When you are first starting out as an electrician apprentice, your master electrician will tell you all about hand tool safety. You will also learn about it in the classroom training portion of your apprenticeship. Plus, you will probably be told to read all of the safety guidelines and procedures that come with the tool. 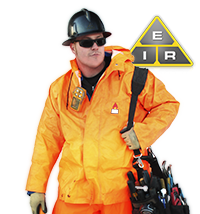 This may sound like an overdose of safety training, but it’s not. There is nothing more important than workplace safety. Thousands of workers every year are hurt or killed on the job. Of course, once in a while you do have a freak accident, but in most cases, these injuries and deaths could have been avoided. Most accidents happen when a worker is not paying close enough attention to the job at hand or handles his tools irresponsibly. Using the right tool for the job at hand is the first step in hand tool safety. Tools are designed to perform a specific task in a specific manner. That’s why you have screwdrivers in varying lengths and with different tips and pliers with different head shapes. When you use a tool improperly, you are asking for trouble. You not only risk hurting yourself or maybe others around you, you may damage the tool. That may be a small consideration next to personal safety, but good electrician tools are expensive. Why take the chance of ruining your valuable tools? Quality professional hand tools are designed to last for many years when properly cared for and used properly. Manufacturers design each tool for specific purpose. Using your screwdriver as a pry bar or chisel will make it useless when you need to actually use it as a screwdriver. Working with electricity poses the threat of electrical shock. That is why there are tools specially designed for electricians. These are insulated to reduce the impact electricity may have on your body when you accidentally hit a live circuit. You should never work on equipment until it is completely shut off. However, don’t be complacent. You may come across a situation when you think the power is off, but there is actually a current still running through the machinery. This could be from a computer or a medical device hooked up to the circuit that can not be shut down completely. 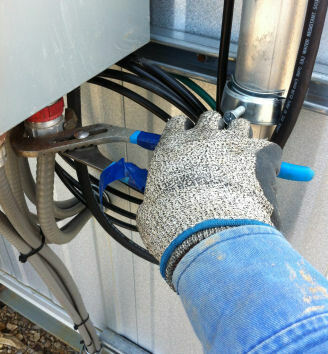 Insulated tools will provide more protection than regular tools. Don’t make your job more dangerous than it already is. Always practice proper hand tool safety. Learn Online with this certified course for Hand Tool Safety.